Values are just words, unless they are put into action. At Kredits, every decision we make is guided by our commitment to operate with Integrity, to exemplify Passion, to provide Reliability, to strive for Excellence, and to deliver Innovation. 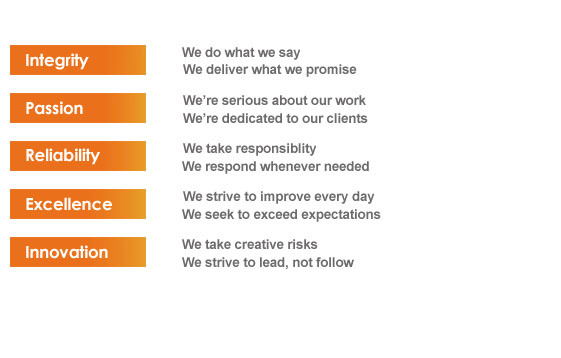 These values - Integrity, Passion, Reliability, Excellence and Innovation - embody who we are and how we work. They also serve as the cornerstone for how we build the long-lasting relationships we enjoy with our partners and clients. To help expand financial services and increase outreach to the world's poor. To provide the microfinance industry with solutions that improve operational efficiency, increase scalability, and offer long-term sustainability.